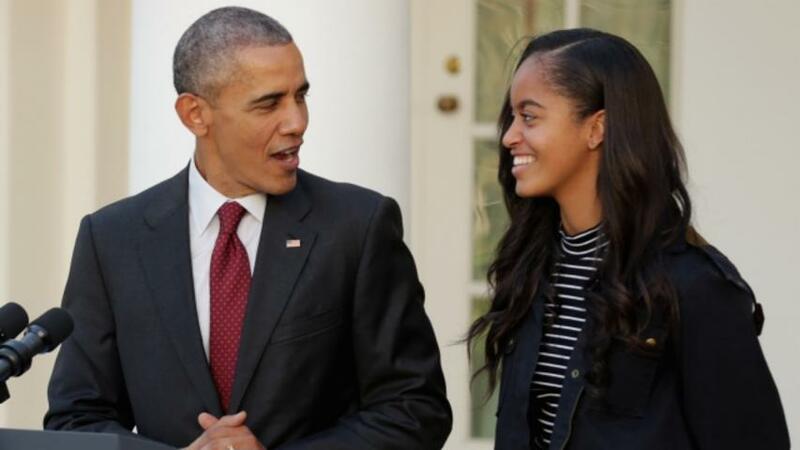 Go Crimson: Malia Obama is headed to Harvard. "The President and Mrs. Obama announced today that their daughter Malia will attend Harvard University in the fall of 2017 as a member of the Class of 2021," a White House press statement issued Sunday reads. "Malia will take a gap year before beginning school." Tough news for dad/President Barack Obama, who attended Occidental College and then fellow Ivy Columbia University as an undergraduate student. But we're sure he isn't taking it too hard — both he and Michelle Obama are graduates of Harvard Law. Malia's choice to settle on Harvard comes after much speculation as to where the elder Obama daughter would choose to spend her undergraduate years. As the New York Times reports, she's taken tours of the East Coast Ivy Leagues in addition to liberal arts institutions across the country. As for Malia's plans for her upcoming gap year — typically a year-long break in one's academic career following high school graduation — we're hoping she's landed a cool-teen internship. Not that we're worried— she was an intern on HBO's 'Girls' after all. Start brushing up on your dorm-room hacks, Malia. No word yet on whether her dad will help her move in while wearing a tucked in t-shirt. But as we've seen, he's got plans for mom jeans in his future.